(This article originally appeared in the April 2011 Edition of the Suffolk Lawyer. Since readers of this blog are both consumers as well as fellow attorneys, I will provide some basic info about reaffirmation agreements and then discuss several recent decisions). Here in the Eastern District of New York, we’ve seen a year’s worth of caselaw in the past four months about retaining vehicles after bankruptcy through either reaffirmation or assumption of lease agreements. Yet all of them had to do with one issue – all involved an application made by the debtor’s attorney to reopen a consumer case to reaffirm a vehicle loan (or assume a vehicle lease) which had not been done on a timely basis while the case was open. 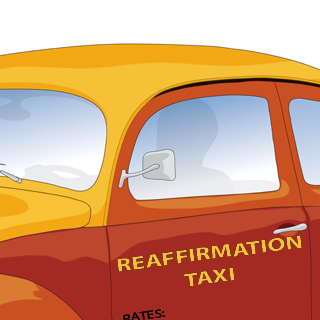 In this month’s column, I will review this year’s caselaw in our district concerning reaffirmation agreements and briefly touch upon some basics about reaffirmation agreements as they apply to motor vehicles. Filing bankruptcy has the effect of discharging most debts including obligations on car loans and leases. In a reaffirmation agreement, the debtor voluntarily agrees to remain obligated on a debt that would have otherwise been discharged. In a lease assumption agreement, the debtor agrees to be obligated on the lease. Under the 2005 Bankruptcy Amendment Act (BAPCPA), car financing companies, after some aggressive lobbying, obtained extra protections that they had not previously enjoyed. Prior to 2005, debtors enjoyed a “ride-through” in which they could ride through the bankruptcy and keep their vehicles without reaffirming them as long as they stayed current on their vehicle loan payments. However, under BAPCPA, if a debtor does not redeem or reaffirm a car loan pursuant to Bankruptcy Code § 524, the lender can eventually repossess the vehicle. That’s because almost all car loan agreements contain boilerplate language that deem bankruptcy as a default under state law, even if the car owner is current with payments. When there is a default, a lender, under state law, can repossess. Should a Debtor Reaffirm a Car Loan? The general answer is: only when absolutely necessary to enable the client to keep the vehicle. When BAPCPA went into effect, we bankruptcy attorneys routinely advised our clients to reaffirm all car loans. After all, we did not want our clients’ cars to be repossessed. However, as the years went by, we learned that most car lenders informally permitted a ride-through. In other words, they permitted debtors to keep their secured vehicles, even if the debtors did not enter into a reaffirmation agreement. However, a select few, most notably and notoriously Ford Motor Credit, adopted unusually harsh policies in which they actively threatened to repossess vehicles that debtors failed to reaffirm or assume, and sometimes actually went so far as to repossess those vehicles thereafter. The lesson learned was always reaffirm or assume a vehicle financed by Ford Motor Credit. The Bankruptcy Code provisions for reaffirming a debt are set forth in § 521(a)(2). This provision requires the debtor to indicate on the Statement of Intention whether he intends to retain or surrender the vehicle, and if the intent is to retain, the debtor must state whether he will redeem (which means to immediately pay the full loan balance, up to the value of the car, in a lump sum payment) or reaffirm pursuant to § 524. In addition, Bankruptcy Code Rule 4008(a) basically requires the debtor to perform his stated intention within 60 days after the date first set for the meeting of creditors. In other words, a debtor has approximately 90 days from the date of the bankruptcy filing to file a reaffirmation agreement with the court. Here’s the kicker: the Code provides under § 524 (c) that the stay is automatically lifted if these requirements are not timely met, meaning that the car loan lender is then free to exercise its rights to repossess the collateral if there is a default under state law. In the case of In re Barry R. Clark, no. 8-10-73746-reg, 2010 WL 5348721, (Bankr. E.D.N.Y. Dec. 21, 2010), the debtor and his attorney neglected to reaffirm the car loan with lender Ford Motor Credit. Debtor’s counsel, who also happens to be a Chapter 7 trustee in our jurisdiction, then brought a motion to do just that, and it was unopposed. However, Judge Robert E. Grossman refused to grant it, saying that there is no basis in the Code that permits him to do so. Judge Grossman explained that both BAPCPA and caselaw mandate a process for reaffirming debts that requires strict compliance by the debtor. He stated that we have this process to protect debtors from the pressure that could otherwise be exerted by overly aggressive creditors to force debtors to pay discharged debts. Debtors obtain very powerful protections through bankruptcy such as being able to discharge debts, and they shouldn’t be able to jeopardize those protections at a time when they are most vulnerable. Judge Grossman concluded that permitting a reaffirmation after the case is closed would undermine the integrity of the bankruptcy process – even though it would mean, as in this case, that debtors could lose their vehicles. So despite arguments by the debtor’s attorney that this case involved “special circumstances” because the debtors needed a car to get to work, and couldn’t earn an income without one, Judge Grossman was insistent that he could not grant the requested relief. The decision also pointed out that both the statute and case law make it clear that a reaffirmation agreement will be unenforceable if it is not made before the granting of the discharge. Congress made it clear that once a debt is discharged, the debtor should not be pressured in any way to repay it. However, upon carefully reading the decision, it appears that if the debtor had entered the reaffirmation agreement prior to the date of discharge, even if it was not filed as required, then the debtor might have been successful with the application. Just one month after In re Clark, Judge Grossman decided a similar case involving a leased car, as opposed to a car with a loan. In re Linda J. Mortensen, no. 8-10-75234-reg,( Bankr. E.D.N.Y. Jan. 19, 2011). Here, Monster Gorilla Ford Motor Credit was a lessor and threatened to repo the vehicle since the debtor did not assume the lease. Judge Grossman permitted the debtor to re-open the case to enter into a lease assumption agreement. He stated that reaffirmation of a car loan pursuant to § 524(c) is not equivalent to assumption of a lease for personal property owned by a creditor under § 365(p), and each undertaking imposes different steps and confers different rights upon the parties to the respective agreements. The decision did not indicate whether the assumption agreement had been executed before or after the date of discharge. Unlike In re Clark, the entry of the debtor’s discharge is not an impediment to the debtor’s assumption of the lease pursuant to § 365(p) which is the section that deals with assumptions of lease. Assumptions of lease are not subject to the discharge or the post-discharge injunction granted under § 524. Three months after Judge Grossman issued the In re Clark decision, Judge Alan S. Trust reached the same holding in a case that was very similar in fact. In re Polyner Mardy, no. 8-10-73819-ast, (Bankr. E.D.N.Y. March 15, 2011). By now you can guess who the lender was: Ford Motor Credit, of course. In that case, the debtor and his attorney also failed to reaffirm a vehicle loan, and the court entertained an unopposed application to reopen the case to extend the time to file the reaffirmation agreement. Sometimes when one judge reaches one conclusion on a legal issue, another judge in the same court can reach a different conclusion. However, that was not the case here. Judge Trust held that the court lacked authority to reopen a closed chapter 7 case in which a debtor has received a discharge to allow the late filing of a reaffirmation agreement. The debtor’s attorney, who is a highly-experienced Suffolk County bankruptcy lawyer, didn’t help things much as he failed to show up for the hearing on his own motion, and consequently the court marked the application off the calendar. The attorney re-filed the motion a month later. Inexplicably, he failed to show for the second hearing, although his clients showed up without him! The attorney did not include a copy of the proposed reaffirmation agreement, so the court was unable to ascertain if it had been executed prior to discharge. Judge Trust issued a separate order directing the debtor’s attorney to disgorge any fees that he charged for bringing the motions. Perhaps more importantly, speaking in terms of future credibility, this attorney may have devalued his currency with the court. Judge Trust further clarified that not only must the reaffirmation agreement be executed prior to discharge, but any hearing to approve the agreement shall be concluded prior to discharge as well, according to § 524(m)(1). Thus, it appears that Judge Trust may address such situations in a stricter sense than Judge Grossman, whose decision left the door open for cases in which the non-filed agreement had been signed before discharge. Ascertain early on if you need to reaffirm a vehicle loan or assume a lease. If so, calender the deadlines which would be 60 days from date of the meeting of creditors. Then, make sure the creditor forwards you the proposed agreement. Those lenders that insist on reaffirmation or assumption agreements will certainly send you one. Do not reaffirm a vehicle if the lender permits a ride-through. Doing so will not bring any benefit to your client unless the lender is willing to modify the terms of the loan by reducing the interest rate, principal balance, or monthly payment. If you definitely need to reaffirm a car loan and need more time to file it, bring an application to extend the time pursuant to §521(a)(2)(B). If you entered into a reaffirmation agreement and neglected to file it prior to discharge, you might be successful in bringing an application to reopen, to file it late, but only if the agreement was truly signed prior to the date of discharge, and probably only if the Judge is not Judge Trust. If you need to file a lease assumption agreement late, you may be successful, based on the In re Mortensen decision. Also note that lack of opposition to a motion does not guarantee success. Finally, if you bring any motion, provide the statutory or caselaw authority for doing so, and definitely show up for your hearing.